One week after launching worldwide, Halo 5: Guardians has made history as the biggest Halo launch and fastest-selling Xbox One exclusive game to-date, with more than $400 million in global sales of Halo 5: Guardians games and hardware, pushing the franchise to over $5 billion lifetime. With the highest week one attach rate for a Microsoft first party title on Xbox One, the game was the most played of any game on Xbox One, as well as the most played on Xbox Live. Fans have logged more than 21 million hours of total gameplay, including 12 million hours in campaign mode alone. The widely praised multiplayer modes have also led to nine million total hours played with nearly seven million multiplayer matches played across Arena and the all-new Warzone mode. In addition, Halo fans are taking to the new Requisition System in a big way, with over 45 million REQ Packs acquired, totaling more than 568 million REQ Cards. Halo 5: Live earned a GUINNESS WORLD RECORDS™ title for the most watched video game launch broadcast, setting a precedent with more than 330,000 unique streams on the evening of the broadcast. Additionally, content from the broadcast generated 5.5 million total views throughout the week. This resulted in a spike in digital sales of Halo 5: Guardians, leading to it becoming the best-selling digital game ever in the Xbox Store for an opening week. 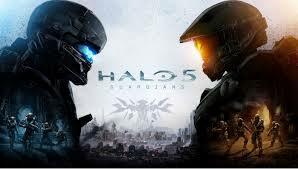 “The success of Halo 5: Guardians is a testament to the innovative work from the entire team at 343 Industries to bring this installment to Xbox One and the incredible community of fans who have come to love the story, characters and gameplay central to the franchise,” said Phil Spencer, head of Xbox. “The game represents all the possibilities of Xbox One and has earned its place as the anchor title in the greatest holiday games lineup in Xbox history.” Fans around the world have discovered the pure entertainment of what The Verge calls “an absolute masterclass in how to craft a first-person shooter” and currently the highest rated Xbox One exclusive, first-person shooter game of 2015, according to Metacritic. A custom Twitter emoji of the Master Chief – the first ever for a video game franchise – is the result of Twitter’s hunt for partnerships with iconic, global brands. The buzz also extended to Twitch, where Halo 5: Guardians was the most streamed Xbox One exclusive game, with more than three million hours watched in the first week. Halo 5: Guardians is available now for $59.99 (estimated retail price) at more than 110 Microsoft stores in the U.S., Canada and Puerto Rico, microsoftstore.com, other major U.S. retailers, as well as via digital download. A sample list of participating retailers can be found at http://www.xbox.com/en-US/games/halo-5-guardians/buy-now.